Golf Digest is #1 most widely-read golf sport publication in the world. Its official website, GolfDigest.com, has over 1 million digital audiences. Golf Digest is the authority on how to play, what to play and where to play. The website redesign represents the brand's voice and transforms it into a more digestible digital reading experience with a rebranding visual look. 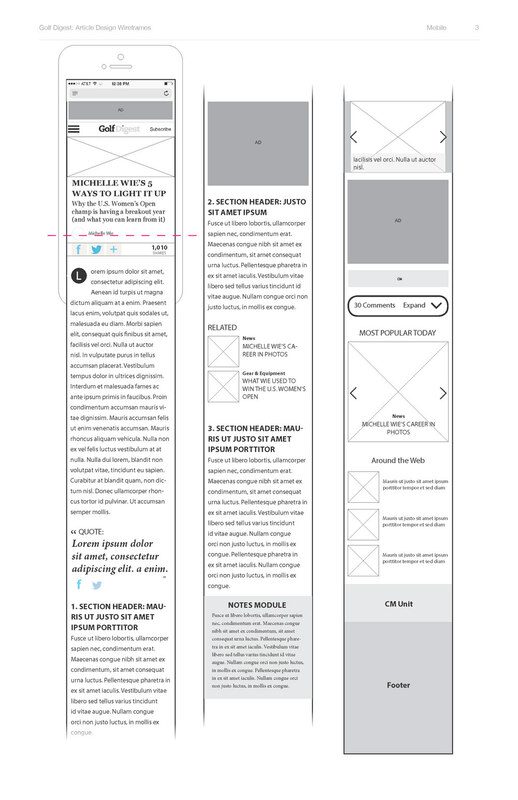 The new website is responsive and supports all devices from desktop, tablet to mobile. 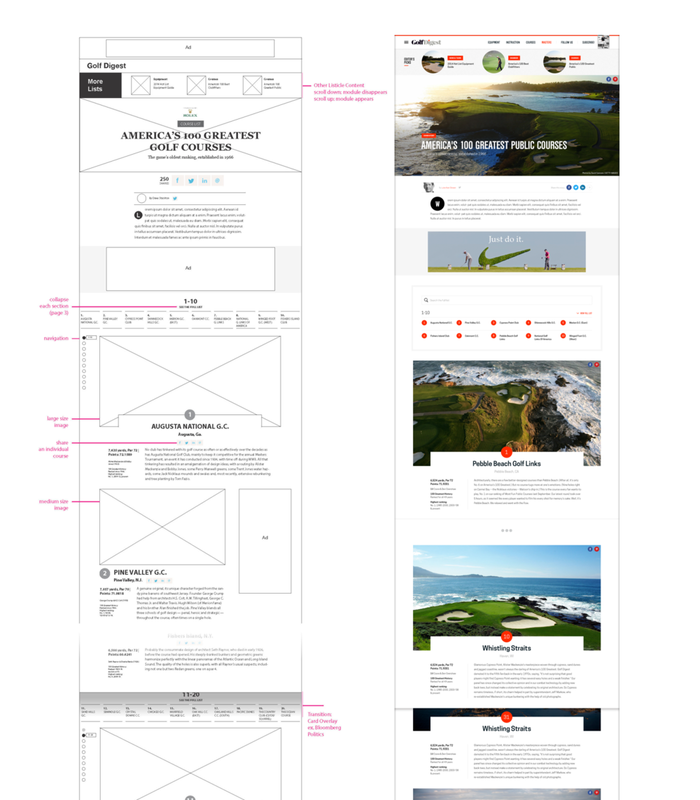 Annual rankings of golf courses and destinations, like "The 100 Greatest" or "GD Editor's Choice"
As UX designer in Golf Digest redesign team, in charge of the UX process of content template redesign, including blogs, articles, long-forms and listicles.